She didn’t even look at what I came in for. She took 5 minutes of notes in her office and thenrushed my out. Told me to go somewhere else. She didn’t even look at what I came in for. She took 5 minutes of notes in her office and then rushed my out. Told me to go somewhere else. Dr. Rita R. Kumar received her M.D. from Lady Harding Medical College at Delhi University in Delhi, India. She received her diploma in clinical pathology from Meerut University, India, and finished her residency in Internal Medicine at Deaconess Hospital at St. Louis University in Missouri. Dr. Kumar has been practicing medicine in the US for over 35 years and is well-known throughout Los Angeles. As a Clinical Associate Professor of Medicine, she teaches medical students from the University of California Los Angeles at her office. She has previously served as Co-Owner of the Medical Group of Culver City and Director of the Outpatient Ambulatory Care Program at the Medical Group of Beverly Hills for the Resident Training Program of Internal Medicine of Cedars-Sinai Medical Center. She teaches seminars in holistic medicine, and is a Senior Attending Physician at both Cedars-Sinai Medical Center and Brotman Medical Center. 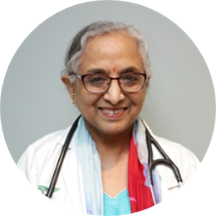 Dr. Kumar's interests are in Western primary care medicine, holistic medicine and Eastern philosophies. She enjoys all life therapeutic approaches in the practice. Dr.Kumar has done diploma in clinical pathology from Meerut University. Not pleased with the visit and was billed for a follow up visit I called to cancel a week prior. Went in for a general physical exam and ended up with bills when insurance covers physical exams. She didn’t take my hand injury seriously. I kept saying it was my left and she kept saying and writing right. Then she recommended “Salonpas” and that I should wrap my hand with it. What she did not say is thatsalonpas are made with lidocaine and is purely numbing meds. I said I did not want pills or anything addictive of the kind and not only did she say get these, she did so with zero warnings. Still gotta read the label of course but I’m still now gonna get a second opinion. She's a lovely, caring, smart, and knowledgeable doctor. She clearly cares about her practice and patients, and she knows a lot about both natural treatments and the newest medications. However, my wait time was over 30 minutes and that wasfrustrating -- that's on admin though and not the doctor. I'll be back because of her quality of service and clear care! Courteous and professional. Office staff is very friendly. Dr. Kumar is an incredible doctor. Her bedside manner is personable and kind. I rarely go to the doctor and she made me feel calm and hopeful for a full recovery of my symptoms. Highly recommend. Dr. Kumar is very nice and I felt like she really listened to all my concerns.